Are you ready for your next adventure in a 2019 Wrangler? With its extraordinary off-road capabilities, the 2019 Jeep Wrangler in Boulder can take you any place that you want to go. This rugged vehicle provides you with the opportunity to select one of its three 4×4 systems. The 2019 Jeep Wrangler earned the Trail Rated badge. To receive this honor, the Jeep Wrangler was put through a series of off-road terrain tests. The 2019 Jeep Wrangler in Boulder at Pollard Jeep is available in Sport, Sport S, Sahara and Rubicon. Each model of the 2019 Jeep Wrangler offers unique amenities and color options. Exterior color selections include Granite Crystal Metallic, Firecracker Red, Mojito (Light Green), Billet Silver Metallic, Hellayella (Bright Yellow), Ocean Blue, Punk’n Metallic (Orange) and Black. Interior styling includes the following color selections – Black/Heritage Tan and Black. This vehicle has won a few awards including the 2019 MotorTrend SUV of the Year. 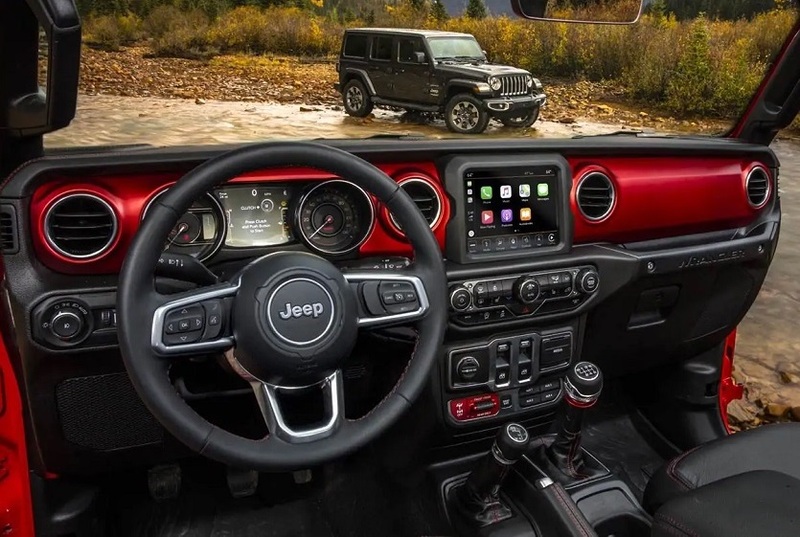 When it comes to style and adventure, the 2019 Jeep Wrangler in Boulder at Pollard Jeep serving Boulder, Longmont, Loveland Colorado is the vehicle to explore and research. Come to our Jeep dealership serving Boulder, Longmont, Loveland CO to see our selection of Jeep vehicles. Wheel options for the 2019 Wrangler include 17-inch black steel styled, 17-inch black wheels with polished lip, 17-inch polished granite crystal, 17-inch polished wheels with black pockets, 17-inch tech silver aluminum wheels, 18-inch polished wheels with gray spokes and 18-inch tech gray polished face wheels. Standard and available tires are all-season, off-road and all-terrain. Other exterior features include an optional Black Freedom hard top, a standard Black Sunrider soft top, a body-color 3-piece hard top, automatic headlamps, a daytime running lamp system, front fog lamps, halogen headlamps, incandescent tail lamps, black door handles, black exterior mirrors, body-color fender flares and full metal doors with roll-up windows. The interior of the 2019 Wrangler is equally as attractive and durable as its interior. The control panels are located within reach of the driver and front passenger. Interior seating options include leather and cloth. Standard seating includes adjustable head restraints, a driver height adjuster, an easy access driver seat and a rear folding seat. Interior convenience features in the 2019 Wrangler include an auxiliary-power outlet, 12-V auxiliary power outlet, air conditioning (with auto temperature control), all-weather floor mats, cargo tie-down loops, a cigar lighter, a full-length floor console, a heated steering wheel, illuminated cup holders, park brake handle (leather wrapped), shift knob (leather-wrapped) and steering wheel (leather-wrapped). Multimedia features include a touch screen display (5.0-inch and 7.0-inch), 8 speakers, Apple CarPlay, an Alpine Premium Audio System, Google Android Auto, HD Radio, a media hub, SiriusXM and Uconnect 3 (5-inch, 7-inch and 8.4-inch display options). There are so many interior features to research in the 2019 Wrangler. If you’d like to explore this vehicle’s interior options, contact our dealership for a test drive. Optional mechanical features include a 220 amp alternator, an anti-spin differential rear axle and a 240 amp alternator. Standard mechanical features include a 3.45 axle gear ratio, a 3rd Generation Dana solid front axle, a conventional differential front axle, a conventional differential rear axle and solid rotor brakes. If you’re interested in exploring the mechanical features in the 2019 Wrangler, we’d be happy to provide you with any information that you need to help you make an informed decision. The standard engine for the 2019 Wrangler is a 2.0-liter DOHC DI Turbo eTorque engine. The optional engine type is a 2.0-liter I4 DOHC DI Turbo eTorque engine. It comes with a standard 6-speed manual transmission and an optional 8-speed automatic transmission. The 2019 Wrangler features normal duty suspension and a Selec-Trac full time 4WD system. When you purchase a new 2019 Wrangler in any model, you can be sure that you’ll be secure and safe. This vehicle is equipped to protect you and your passengers on any terrain. Available safety features include collision warning with active braking, adaptive cruise control, air bags, ParkSense Rear Park Assist System, a rear back up camera, ABS braking, blind spot monitoring, rear cross path detection, tire pressure monitoring and trailer sway control. The standard and available safety features on this vehicle are designed to help your vehicle stay on course. 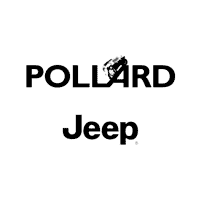 At Pollard Jeep serving Boulder, Longmont, Loveland CO, our staff is ready to help you select your next vehicle. We have several models of the 2019 Wrangler at various competitive price points. One of the most convenient things about partnering with our dealer is you can apply for financing with a lender on the spot. If you’d like to trade your vehicle, we may be able to offer a competitive price for your vehicle. Visit our dealer for your new 2019 Wrangler in any model today. *This article is for informational purposes. If your goal is to research information about new 2019 Jeep Wrangler vehicles, contact us today.